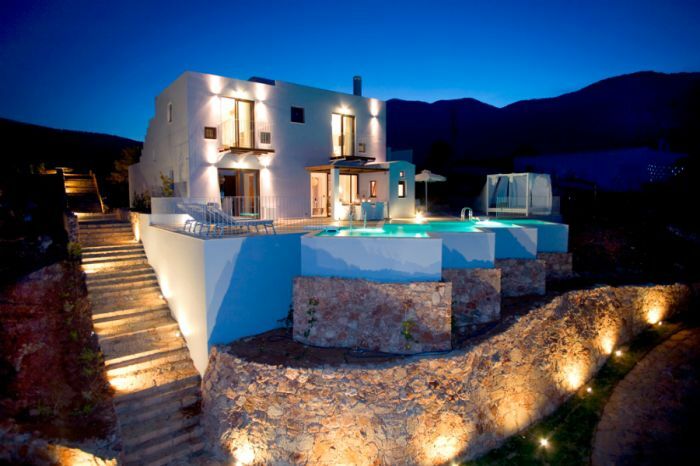 Standing high on a hillside with spectacular views of the sun-drenched shores of Elounda, Crete, the individually designed villas, all with private pools, overlook Elounda Bay and incorporate such features as domed ceilings, creamy colours and cosy patios.The two-storey suites boast elegant interiors, earthy colours, carved wooden furnishings and a marble or granite bathroom, complete with jacuzzi for two and soothing rain shower. 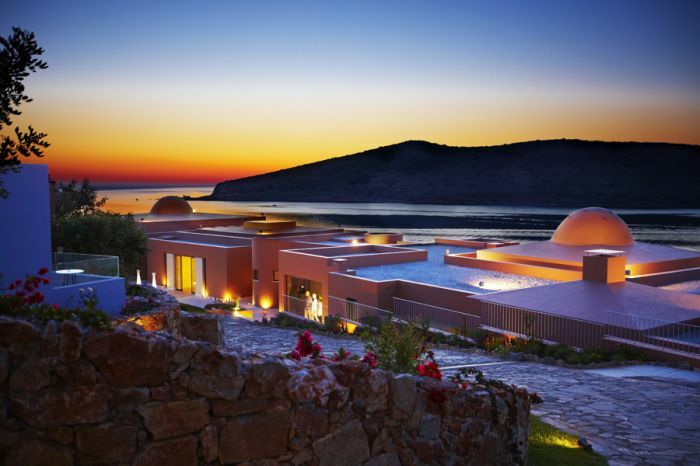 Each offers an impressive range of amenities, stunning views of the Cretan landscape, the sea and the island of Spinalonga (with its Venetian castle), plus a private pool or outdoor jacuzzi. Each villa has a fully equipped kitchen, living room, dining room, working fireplace and two or more en suite bedrooms. 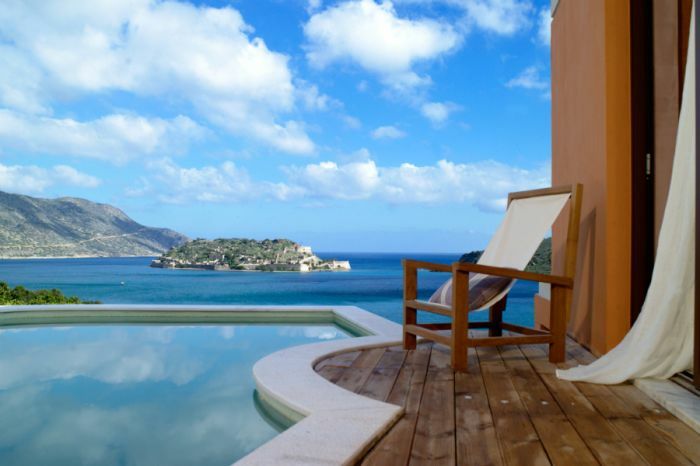 For a quiet, peaceful hotel in which to relax in the Grecian sun, look no further than Eagles Palace. A member of Small Luxury Hotels of the World since 2003, Eagles Palace is a real sanctuary, set on a private sandy beach with a backdrop of rolling hills and cypress trees.